these are User Links = not necessarily checked or recommended by NetCells, but we block ones we see as not relevant here. use ›Search to find what you are interested in. we are just beginning to understand how the genes work and, no, your destiny is not fixed. Step into new worlds and tear down your idols. Music meets dance, film and electronics in an evening exploring movement: the body, sound and geography. Built around the imagery of doors and the crossing of waters, we step into a soundworld of journeys and yearning through Kaija Saariaho’s ballet Maa, and Sohrab Uduman’s Breath Across Autumnal Ground, featuring celebrated harpsichordist Jane Chapman. What will the creator do with it? Bono puts his stage skills to better use, and -- yes -- he has the Results! Anil Seth explains how we predict ourselves into existence, includes the wonderful artificial hand experiment. Wired considers the wider implications of abuse. 3D printing rockets cuts the launch by 90% and a whole rocket could be built in a month. Prototype launch flight set for 2021. British spy agencies collect intel from potentially millions of social media accounts and sell the information to governments overseas. Great long read about Elon Musk's neuralink venture and humanity's rapidly ascending future. What happens when computers get smarter than us? Currently at Bath University, Dr. Bryson's primary research is around using artificial intelligence to understand natural intelligence. this now classic vision of the future from the year 2000 remains valid, after 17 years, with most questions unanswered. astounding percussive double bass version -- music speaks one language, across all borders. Riah Naief is an Iraqi, London born artist, who's creations range from oil on canvas, mixed media on canvas, sculpture and kinetic pieces, many of which are incorporated into both large and small installations. Nature is a central feature of all of Naief’s works, both philosophically and as a matter of aesthetics. Twin composers Litha and Effy Efthymiou present 'Rutuals to Mould her with' at King's Place. A new multimedia work in collaboration with Jane Chapman, actor Esme Patey-Ford, dance artist Harriet Parker-Beldeau. Other performances include Handel House, London, Turner Sims Southampton, RWA Bristol. design studio of my old, multi-talented friend from Paris, now quietly settled in Brooklyn, NY. the fearsome literary magazine in Valencia, Spain, run by (Al)Chemist Ximo Rochera, with Jesús García Cívico (Aldo Alcota has been eaten). now in 7th issue continues to delight and inspire (in Spanish). Art, comedy, music, pop-up restaurants, peace hackathons..month-long festival by peacebuilding charity, International Alert. Design duo Rosario Hurtado and Roberto Feo. Can we make quantum technology work? Thad Roberts on TEDx explaining his theory that space is quantized. combat pseudoscience and hysteria with Steven Salzberg - professor of Biomedical Engineering, Computer Science, and Biostatistics, USA. contains links to statistical data from US National Library of Medicine National Institutes of Health. small design studio and shop in central London working for and distributing over 350 of independent magazines from around the world. Sound Affairs, renowned for staging strikingly innovative concerts and events featuring new music juxtaposed with cinema, theatre, dance and video for over two decades, present a new adaptation of The Tempest combining English music from the 17th and 18th centuries by Locke, Purcell and Linley the Younger with works by contemporary composers Michael Nyman and Charlie Barber. Enchanting magic lantern images are provided by visual artist Andrew Bolton. Jane Chapman, our Turner Sims Fellow and principal harpsichord tutor, has just released a new recording of the Oriental Miscellany (1789) – one of the earliest publications of Indian music in the West. Here she explains the project and talks with journalist Suanshu Khurana from the Indian Express (Delhi). Her disc went to number 14 in the Indian iTunes Classical Charts (SIGDC415). How far is it from London? Part 1 of a three screen video installation of the River Medway. The footage was filmed in realtime over the space of a month. It uses no effects whatsoever but with the occasional use stop motion. Austrian architecture studio COOP HIMMELB(L)AU, founded by Wolf D. Prix, is the origin of many interesting and inspiring projects. Photomediations Machine is a curated online space where the dynamic relations of mediation as performed in photography and other media can be encountered, experienced and engaged. Professor Joanna Zylinska, Goldsmiths, University of London. lost and miraculously resurrected photographer, documenting 20th century America with her sharp European eye. Vivian Maier's (1926 – 2009) cache of 100,000 photographs has earned her a posthumous reputation as one of America’s most accomplished and insightful street photographers. 2001 project from Valencian neofuturist architect, creator of the Ciutat de les Arts i les Ciències in Valencia. 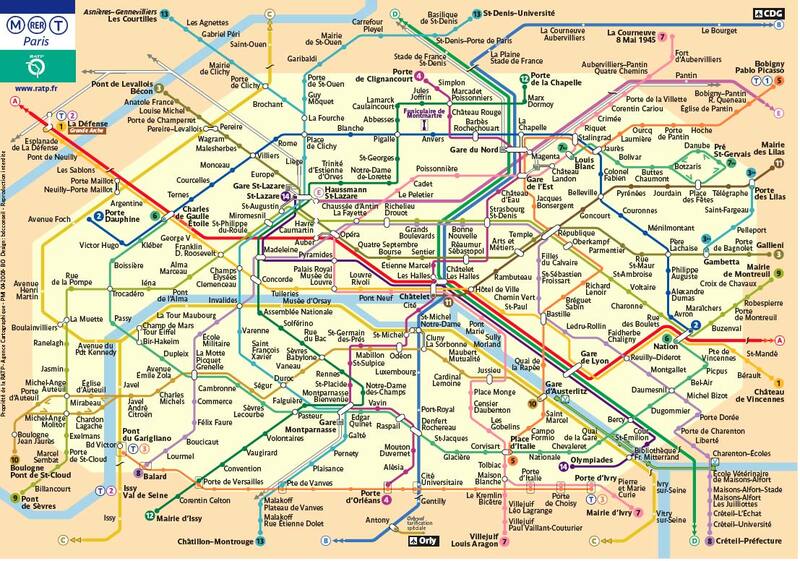 Paris metro is efficient, cheap and beautiful in places. find precise route information - metro, bus, walking, also gives you the CO2 emissions for each mode of transport. In English, German, Italian, Spanish, Dutch and Japanese. yes! democracy needs to be updated. but -- it will not be done as easily as you think. techno-sociologist Zeynep Tufekci has the news -- good and bad. Jane Chapman works with composers and harpsichordists initiating and taking part in new projects. Three leading performers acclaimed for cutting-edge contemporary and pioneering early music performances, exploring new paths that cross boundaries and classification. Stephen Preston baroque flute, Richard Boothby viola da gamba. 10 breakthrough technologies of the 2013, according to MIT - include memory implants, additive manufacturing and supergrids - they got quite a few of them right. they do that every year, just change the date in the address. Organisation founded with the aim of celebrating, studying and promoting self-published photo books. A new film about ECM's Manfred Eicher, with Arvo Pärt, Dino Saluzzi, Jan Garbarek and others.